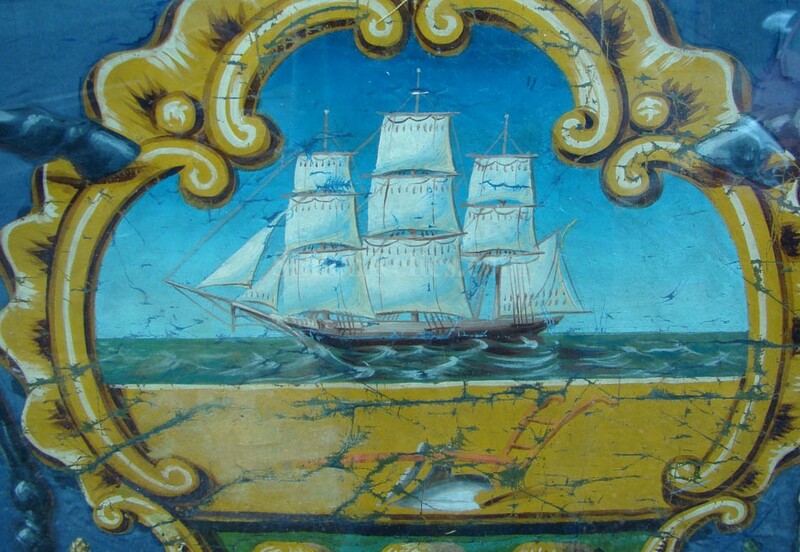 This is one of the most beautiful pieces we have ever been able to offer! 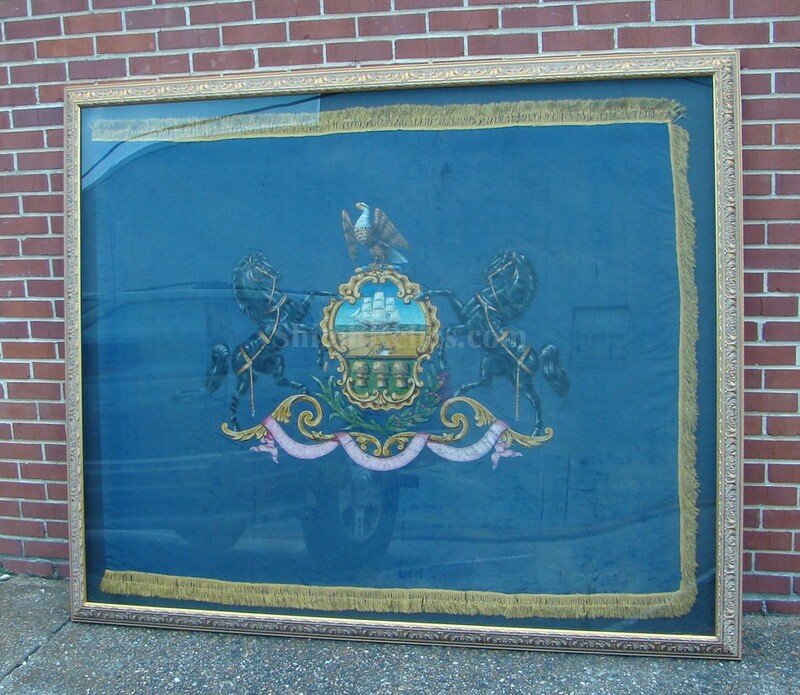 This is a gorgeous original large size silk flag with the great seal of the state of Pennsylvania. This flag would date from the reconstruction timeframe just after the Civil War likely in the late 1860s or 1870s. 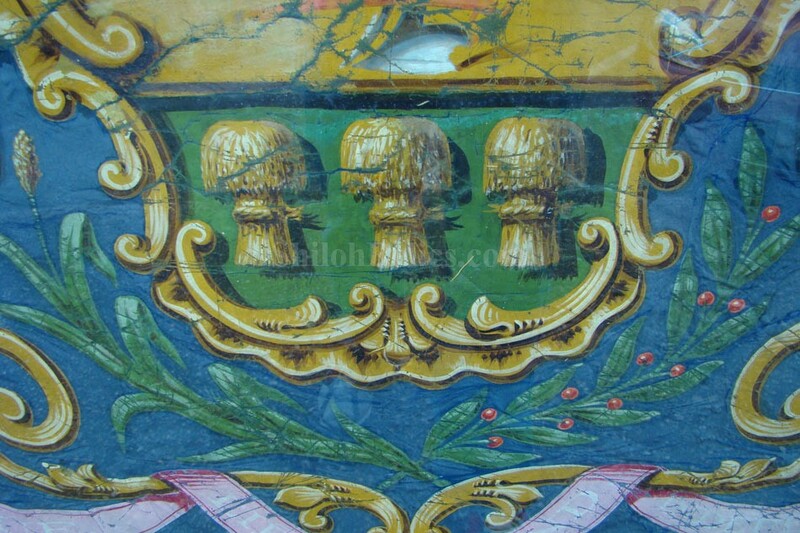 We know this because of dye analysis and construction. 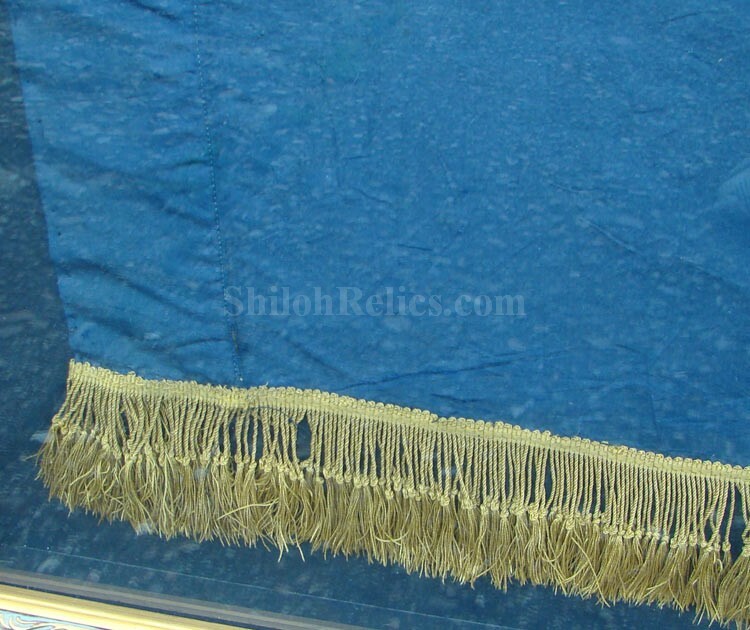 It displays as well as any Civil War era flag you could hope for. Sometimes pictures just don't do justice and this is one of those cases. The flag displays magnificently when you see it in person much better than in my pictures. 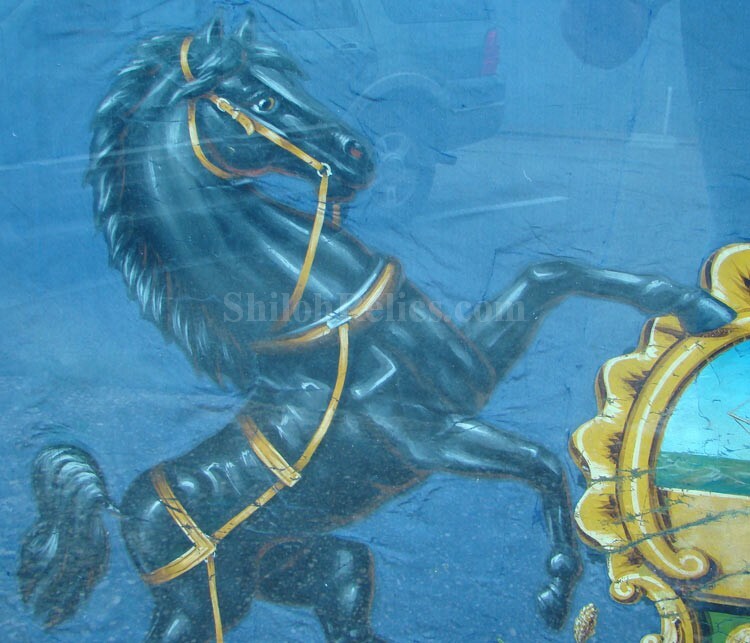 This flag is constructed in a bold large size that measures 57" x 70" in overall size. 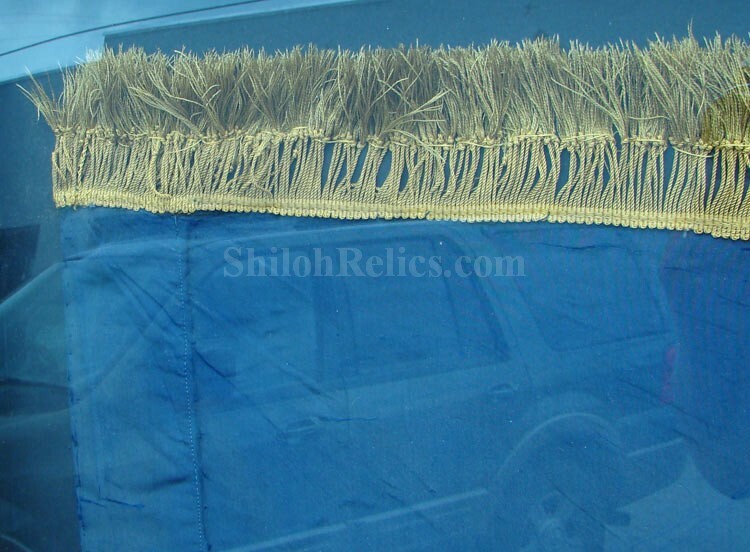 This measurement includes the 2 1/2 inch golden fringe around the edges of the flag The silk of the flag still retains a very attractive look with a rich color. 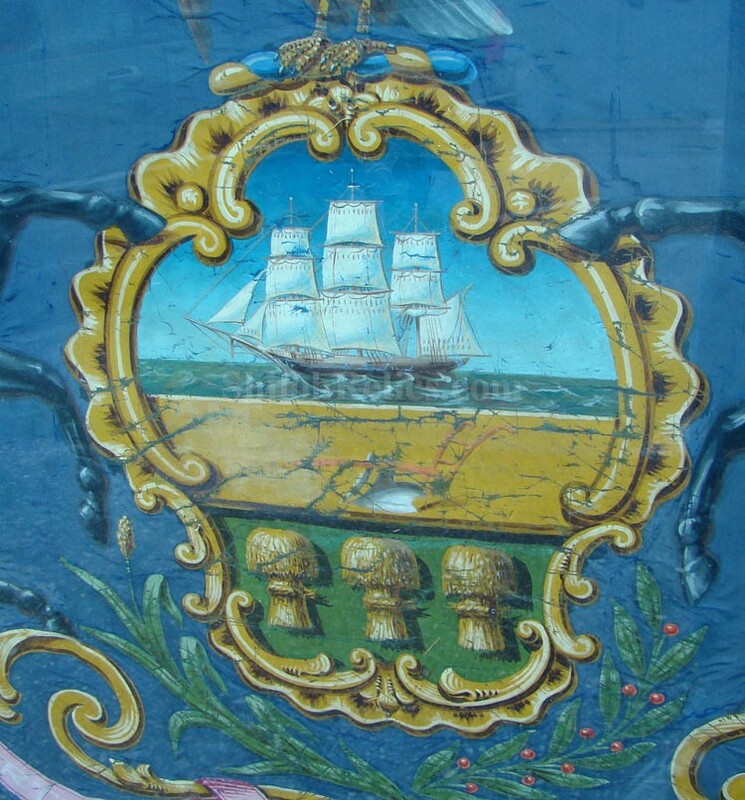 In the center of the flag it has the hand painted great seal of the state of Pennsylvania. 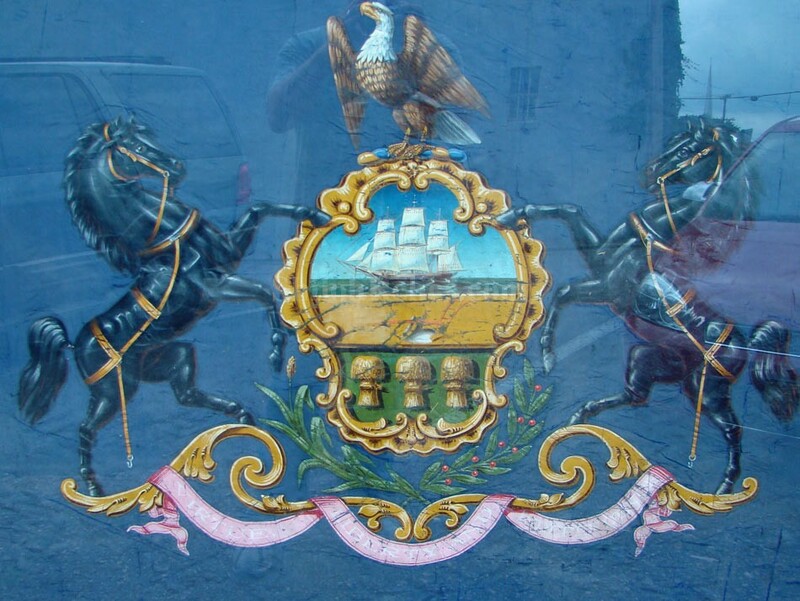 This state seal depicts the coat of arms in the center that depicts a ship at the top with a plow in the center and three sheaves of wheat at the bottom. 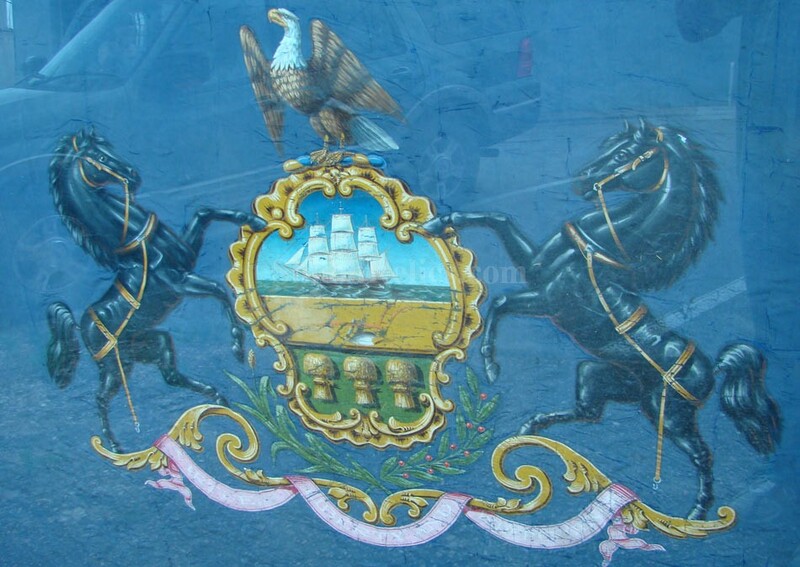 There are two horses supporting the shield and an eagle that has the spread wings that makes a crest. 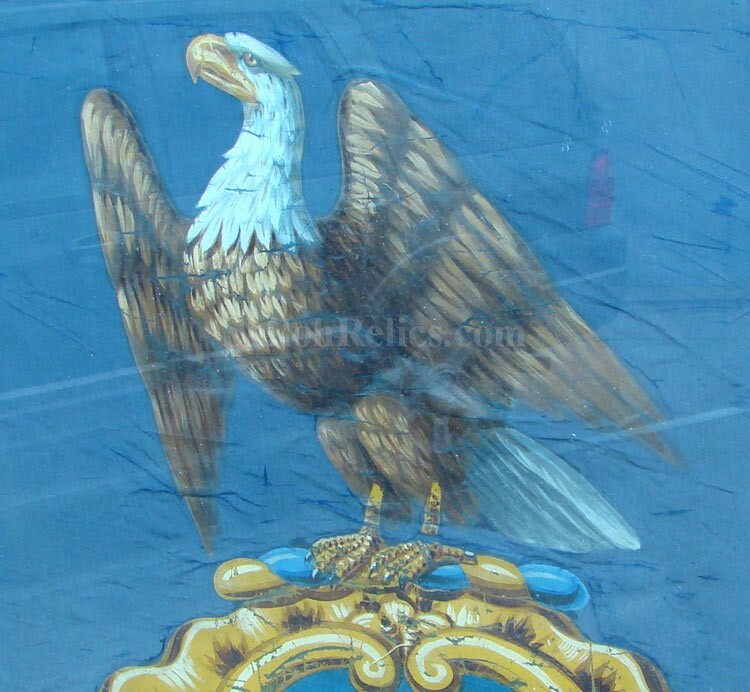 In the ribbon style banner along the bottom it reads "VIRTUE", "LIBERTY" and "INDEPENDENCE". 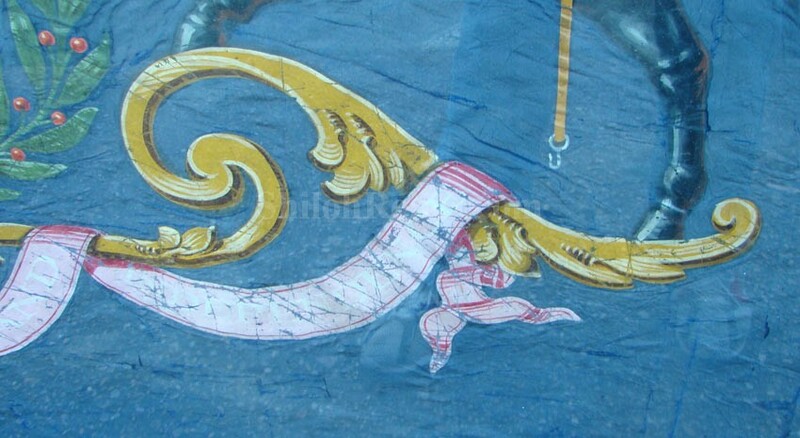 Since the images are hand painted you can just imagine how stunning and stunningly expensive this flag would've been when it was new. The flag has been beautifully conserved by our friend Josh Phillips and is accompanied by his restoration report. 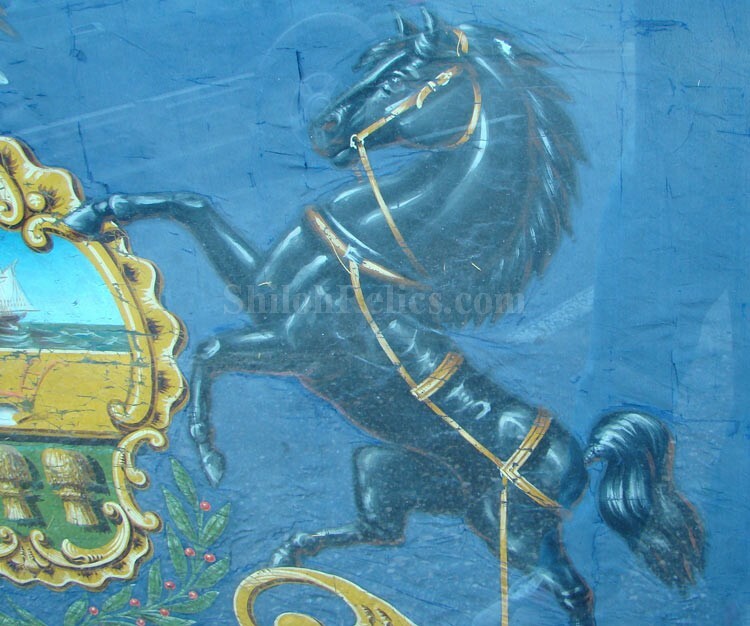 In the report the details how the flag came to him in a well-worn state and the extensive restoration that he did that gave us the beautiful display piece we see now. 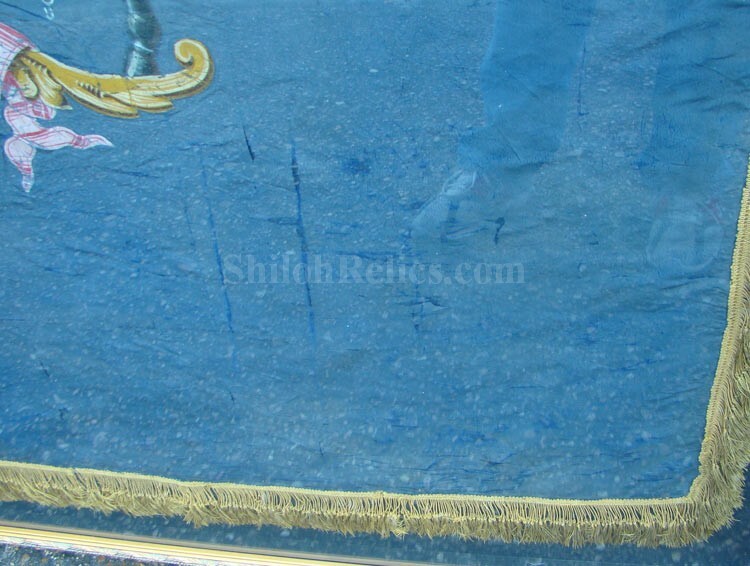 After the restoration I had the flag encapsulated in a Museum quality frame using all acid-free materials with the best quality protectant glass available. Since the size of this flag when it sprained measures a massive 65" x 79" in overall size it would need to be picked up at our office our delivery to a show could be arranged. 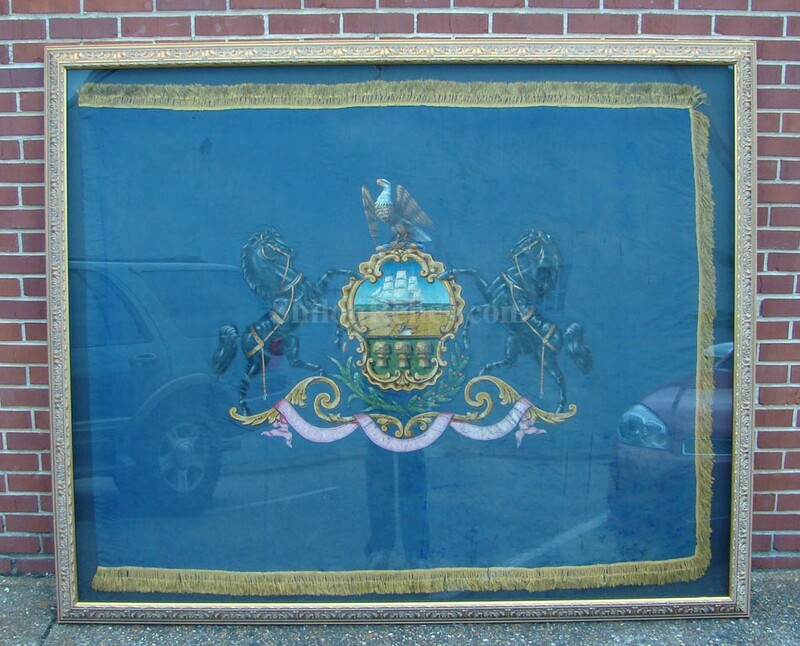 This is an absolutely stunning display piece that costs a fraction of what a Civil War production Pennsylvania flag would cost you.